Anyone who knows me will know that I love Christmas. I think it’s fantastic – the carols, the trees, the lights, the goodies, the family time, the movies, some restfulness and more. Yes, I love the truth of the advent, or coming, of Christ into our world. But I also like the not-so-religious stuff as well (though, actually, much of the seemingly non-religious stuff was set up to point to things eternal). But there can be a problem with the overly pristine setting of Christmas. The true Christ-mas story is not so tidy. Not simply because we read of Jesus being placed in a feeding-trough (Greek phatné) – though that could be considered scandalous enough. But because of how the whole story plays out. You see, the story doesn’t begin in Matt 1:18 like it usually does in our Christmas plays. It begins in Matt 1:1. But all those names aren’t fun to fumble through. However, those names indicate we’re engaging with a centuries-long story leading up to the birth of the Messiah. We call it the Old Testament, or the Hebrew Bible. And Jesus doesn’t make full sense without the story leading up to his birth. It’s like cracking open The Hobbit at page 200. Who would do such a thing?! Maybe you can catch a few things here and there, and the end might still carry much of its glory. But you’ve really missed out on the fuller plot development. So starting with that long list of names (or genealogy) in Matt 1:1-17, and noting the great story of old, the one every Jew would know well, including Jesus, we should already be shocked by the 4 women mentioned in the account: Tamar (vs3), Rahab (vs5), Ruth (vs5) and Uriah’s wife – Bathsheba (vs6). All of these women had a problem, a MAJOR problem, in regards to good ol’ tidy religion. Tamar became pregnant through her own father-in-law, Judah. It wasn’t her fault. But the whole story is, well, not your average churchy story. See Gen 38. How awkward as the birth of your twins approach and you have to explain that the father is actually your father-in-law? I’m thinking this testimony won’t be shared on Sunday with a microphone. Rahab was a prostitute (see Josh 2; Heb 11:31). She helped the Hebrew people – with a little bit of lying as well. A prostitute and liar making it into the “Hall of Faith” in Heb 11. Yikes! How many prostitutes have we had in our church buildings or homes recently? And I ask the same to myself. Interesting how this guy, Jesus, eats meals with prostitutes. Ruth was a Moabite – a major Gentile! That’s like a rabid Manchester City fan hanging out with a Manchester United fan. That’s like a Memphis Tiger fan trying to get along with a Tennessee Vol fan. It’s like a representative of the Tea Party hanging out with Barack Obama. It’s like whites and blacks trying to get along in he 1950’s. Or it might have been worse than all of these combined. Bathsheba would later become the mother of Solomon. But before that, she was married to Uriah. But good ol’ king David, the one “after God’s own heart,” who should have been out at war with his people, took Bathsheba for a “night out” and followed up by putting her true husband in a place of definite death. She’s having a child out of wedlock and that child would die a week after being born. Again, not your average Sunday morning testimony. And that’s only the back story. 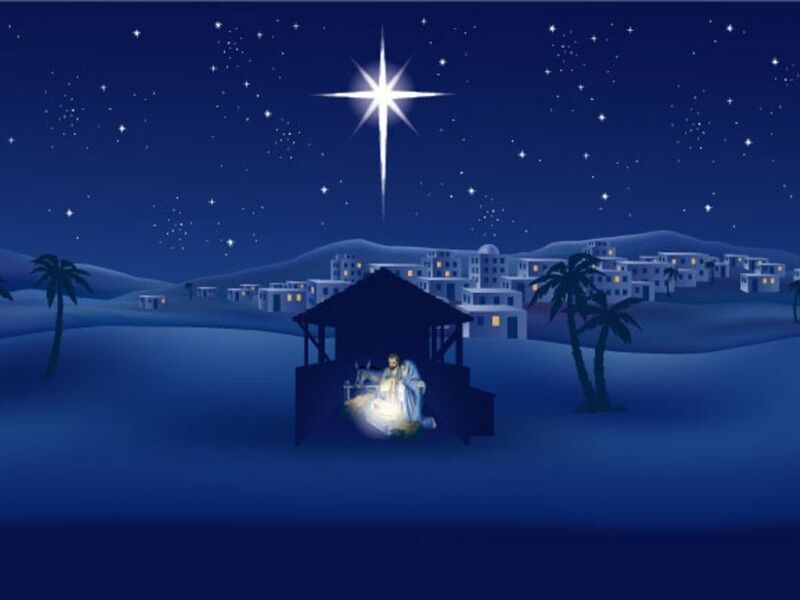 What about the immediate period leading up to Christ’s birth? We accept it as such a sweet part of the account, but what about Mary’s pregnancy? A young woman, who might have been in her mid-teen’s, has become mysteriously pregnant! Again, we know the bigger story. But imagine at that exact time. Think about Joseph, his family, his extended family, Mary’s family, Mary’s extended family, the synagogue community and more. This is no easy pill to swallow. It’s not so easy for Mary at first either – and probably walking through the next 9 months or more. This is a scandalous situation. This is all before we get out of Matthew ch.1. For Pete’s sake! Moving into ch.2, we come across some eastern astrologers (magi) who’ve come to worship the newborn king. The priests and teachers knew the prophecy of old from Micah telling of where this ruler and shepherd would be born. You’d think they would be ready. But they’re not so interested in the playing out of Messiah’s birth. Rather, it’s the eastern astrologers who are seeking to understand what’s going on. And notice how God gets their attention – through the stars, or one particular star. No Bible verse for them. But some kind of star-reading. Ooops! Then Jesus and his family end up in both Egypt and Nazareth – two very despised places. Egypt was the old home of the Hebrew people. This was a land they had to be delivered from in foregone centuries under the great leader, Moses. And now God’s Messiah finds himself in Egypt. Despicable! Nazareth. Remember Nathaniel’s response when Philip told him they’d found the one of which the Law and Prophets foretold – “Can anything good come from there?” (John 1:45-46). Despicable Nazareth! This is the not-so-tidy Christmas story. The real story as it played out. I’m not sure we’ll be singing any carols about this any time soon. I’m not sure I’ve seen much of this played out in our Christmas plays. And what I gather from reflecting on this story is how God continually does great works of grace and power through the despised, the hated, the non-elite, the ignoble, the outcasts. Remember, it is the cross of Christ that displays his power and wisdom (1 Cor 1:18-31). God always seems to do things in contrast to what we imagine as good and right. But he’s so passionate about these folks in the margins. It’s not that God despises those with tidy lives. There is no inherent dislike of those who have much. Everything we have is a grace gift of God. But we must guard against thinking we have it all together – for we might just as easily lose it all. We must remember why we have been given so much – to be the hand of God in the lives of others. And we must remember this Christmas that the expectation is that God is ready to do beautiful things amongst the broken, down-trodden, despised, outcasts, sick, poor and all other mishaps in our own eyes. That’s how it happened 2000 years ago – not to mention before and after. God fights for these folk. Christ proclaimed this in his first message in despised Nazareth – see Luke 4:14-22. So put up a nice tree. Hang some beautiful lights. Enjoy some snowmen shaped cookies. Exchange lovely gifts. My family plans to participate in all of these. But let it not trump the not-so-tidy reality and truth of the advent of God’s kingly Messiah into our world. And look to extend your hand to the hurting and poor of our world – just as God has been doing from the beginning until this day. This is the evangel we sing and proclaim. Have a nice Christmas if I don’t talk to ya Scott. Oh yeah, my snow’s cooler LOL!